There is no question that Penrith’s last start effort against the Sydney Roosters a fortnight ago was a disappointing backwards step in the side’s march towards September. It was the Panthers’ worst defeat of the season but in many ways, you could feel it coming. The enormity of the injury crisis, the pressure of the Origin period and the side’s slow starts in plenty of matches this year were at some stage going to culminate in a performance like that. The important thing for Penrith is to brush it off and get moving again. With three straight home games coming up, starting this Saturday afternoon against Manly, Anthony Griffin’s men have the perfect opportunity to solidify their spot in the top four. The Sea Eagles have had an injury crisis of their own this year and combined with off-field issues, it’s been a season to forget for the Manly faithful. They are in horrible form, having not won since that fiery round 11 clash against Melbourne some six weeks ago. And it just gets worse for the Sea Eagles with Akuila Uate out for the season with an ankle injury and Kiwi representative Martin Taupau struggling to make it back from Denver due to flight delays. 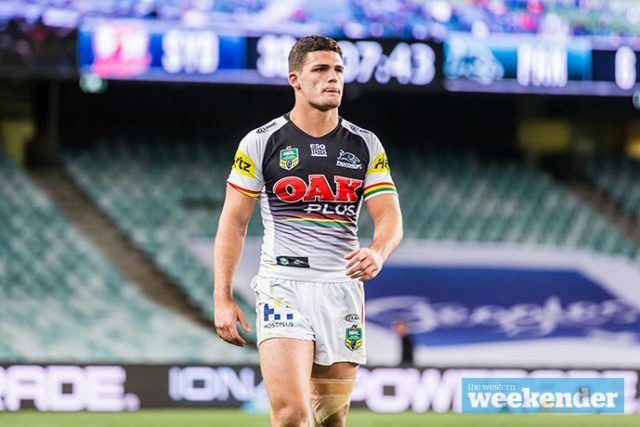 The Panthers expect their NSW Origin trio of James Maloney, Nathan Cleary and Tyrone Peachey to back up after Sunday night’s epic victory over Queensland, and you would think they bring plenty of confidence back into the camp. Any lingering negativity surrounding that loss to the Roosters a couple of weeks ago should be put to bed by a triumphant Maloney and Cleary, who would still be beaming after that performance on Sunday. Penrith can take plenty out of Sunday night’s Origin as far as their own game plan is concerned for this match against Manly. It was a never-say-die effort from the Blues, where they made every tackle count and never gave up on the play. If the Panthers can play for each other, and keep their heads high despite that misstep against the Roosters, they should be able to topple Trent Barrett’s depleted Sea Eagles with relative ease. Maloney and Cleary are definitely the key on Saturday. 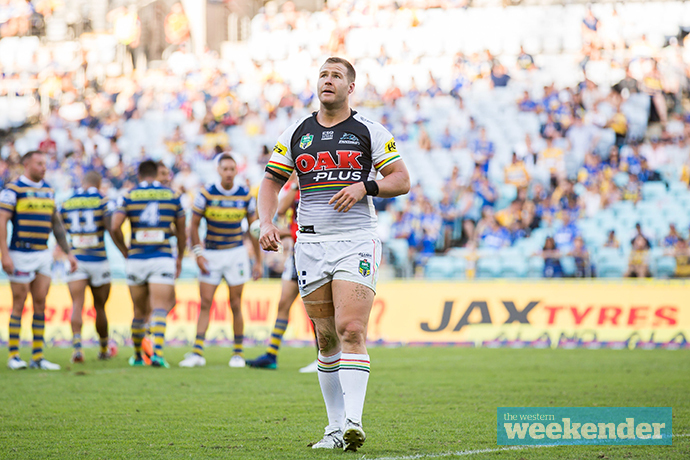 A controlled game plan will get Penrith home – especially given the side’s record at Panthers Stadium this year. Penrith will miss injured prop Reagan Campbell-Gillard but on the plus side welcome back Moses Leota and Viliame Kikau, the latter of whom will add a strike opportunity Penrith severely missed against the Roosters. Without Campbell-Gillard, it’ll be up to others to step up and deliver Penrith the minutes and enthusiasm their moustache-bearing friend does. Enter Jack Hetherington and Trent Merrin. One is young and desperate to be unleashed for more game time, the other is an experienced campaigner who knows how to get the job done when everything is on the line. Both need to deliver on Saturday. Manly do welcome back Dylan Walker at five-eighth, creating a strong halves partnership with Daly Cherry-Evans, but will it be enough? It’s hard to go past a Penrith team that has done so well this season, especially when the Sea Eagles have been so poor. If things go to plan, this could be a massacre. 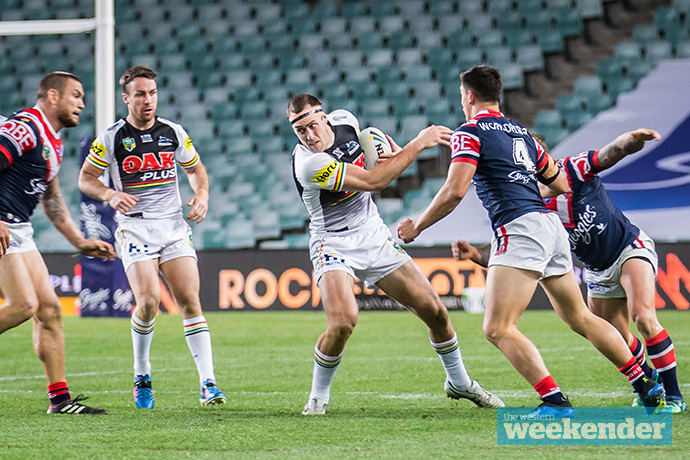 The Panthers and Sea Eagles play at Panthers Stadium on Saturday, June 30 at 3pm. Troy Dodds is the Weekender’s Managing Editor and Senior Writer. He has more than 15 years experience as a journalist, working with some of Australia’s leading media organisations.